Conor McGregor admits he fell out of love with the sport of mixed martial arts, and no longer competes for money. The Nurmagomedov fight this weekend is the first in a new six-fight deal that McGregor recently struck with the UFC. 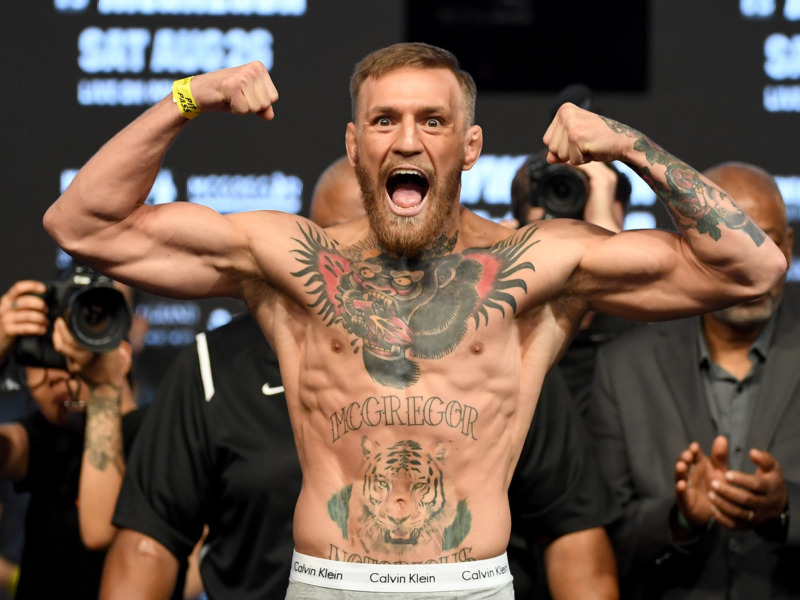 Conor McGregor returns to the UFC octagon for the first time in almost two years when he challenges Khabib Nurmagomedov for the UFC lightweight championship on Saturday, October 6. And in a YouTube interview with his own media company, TheMacLife.com, the Irish striker admitted that “he fell out of love” with the sport during his time away. Since McGregor last contested a UFC fight, a second round stoppage win over Eddie Alvarez at UFC 205 in November 2016, he stepped into the boxing ring to fight Floyd Mayweather (but lost in the 10th round), launched his own whiskey label, Proper No. Twelve, and unveiled a new clothing line called August McGregor. As a two-weight champion in Cage Warriors and UFC, McGregor has proven himself to be an elite competitor – and has a chance to reclaim the UFC lightweight world title when he takes on Nurmagomedov this weekend. Nurmagomedov is unbeaten in 26 mixed martial arts contests. The fight this weekend will be McGregor’s 25th. To date, he has 21 wins to his name with 18 of those coming by way of knockout. The Nurmagomedov bout is the first fight in a new six-fight deal that McGregor recently struck with the UFC. It is unclear who he will fight after, but it could involve a trilogy bout with old rival Nate Diaz, or a potential welterweight world title bout against Tyron Woodley.